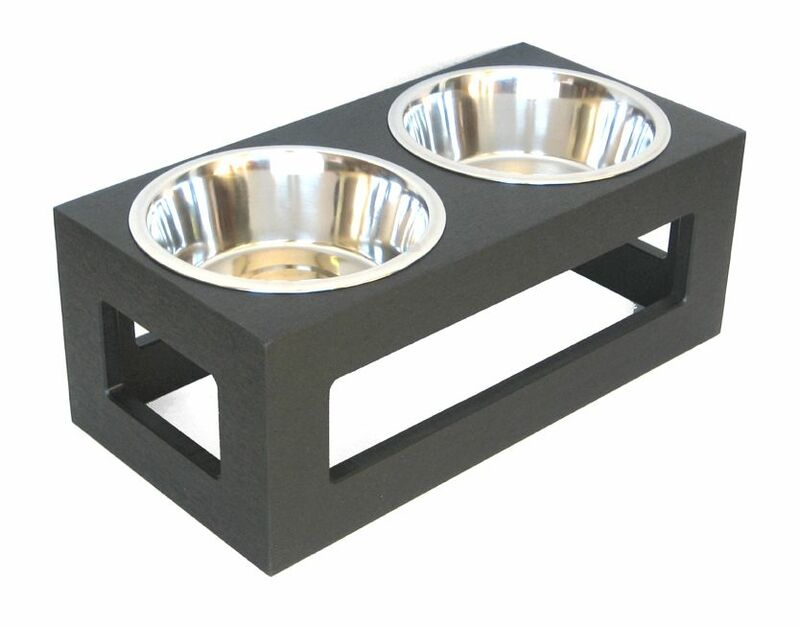 The Outdoor Porchside Elevated Raised Double Diner Dog Bowl is a raised dog bowl feeder is perfect for outdoor use. Porchside Outdoor Diners are made of 100% recycled plastic, so you can leave them outside in all weather and feel good about helping the environment. 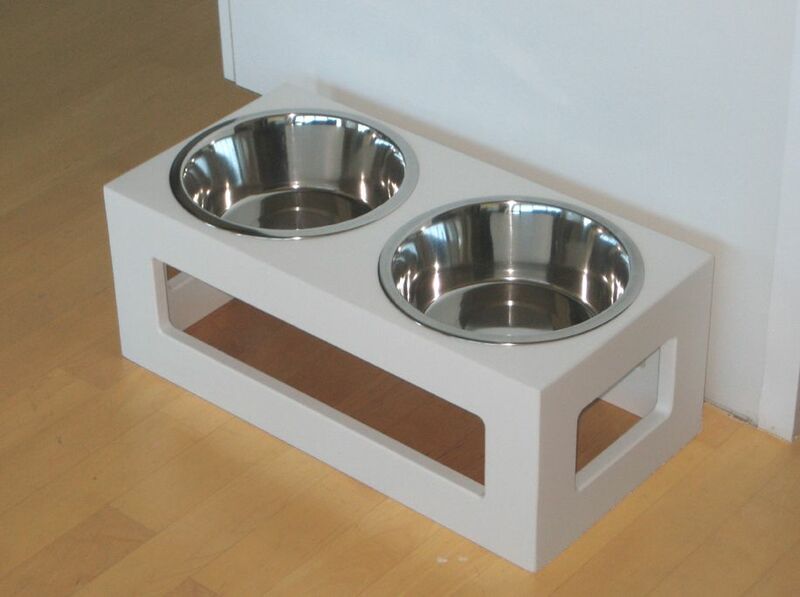 The elevated double diner dog feeder is also Made in USA. Outdoor Porchside Elevated Raised Double Diner Dog Bowl allows you to give your pet's food and water at the same time in this double bowl set. The Outdoor Porchside Raised Double Diner Dog Bowl sturdy elevated design is great for your pet's health and greatly minimizes the stress on his/her neck, back, and joints. Elevated feeders also aid in your pet's digestion and reduces gas because your pet no longer needs to slouch to eat or drink. pet will never strain while eating again! Providing a comfortable feeder height for pets promote better posture and aids digestion.